Excellent cream! I use it every day. I've been using it for many years now. It protects my skin from the sun and it's a wonderful moisturizer. I love it!! With SPF 15 protection, antioxidants and processed skin proteins, Journee delivers everything my skin needs during the day in one product. 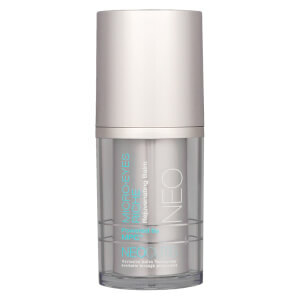 I've been using Neocutis since 2007 and the technology is still the best for skin care. Color blends right in. This is an excellent cream with many benefits and doesn't irritate my skin or eyes. Also, it doesn't have any spf smell to it which is nice. I use this cream every day. I have extremely dry skin. JOURNEE provides wonderful moisture and light make-up coverage without any greasiness. I find I don't have to use foundation at all. It gives a light and natural finish. I have sensitive skin and VERY sensitive eyes. Every other product out there with spf in it stings my eyes, or at the end of the day my eyes feel dry and irritated. This does not. I can wear this all day and my eyes feel wonderful at the end of the day. This goes on smoothly and is moisturizing. I like to streamline my beauty regime, and this product has everything I need for day use- antioxidants, moisturizer, a sheer foundation, and sun protection. Perfection! Nice, moisturizer with SPF. light And nice coverage. My fantastic Dermatologist suggested I use this product daily. I trusted her because she knows my skin and the problems I have. Everything broke me out. I gave the Journee a try and fell in love! It does not irritate my skin at all. My skin is much better using this daily. I love the slight tint that helps even out my skin tone. It is worth every penny. I love it! There are spf moisturizers with more antioxidants, but I come back to this year after year because my skin never has a bad reaction to it and my skin looks better with this than with any other daytime moisturizer.